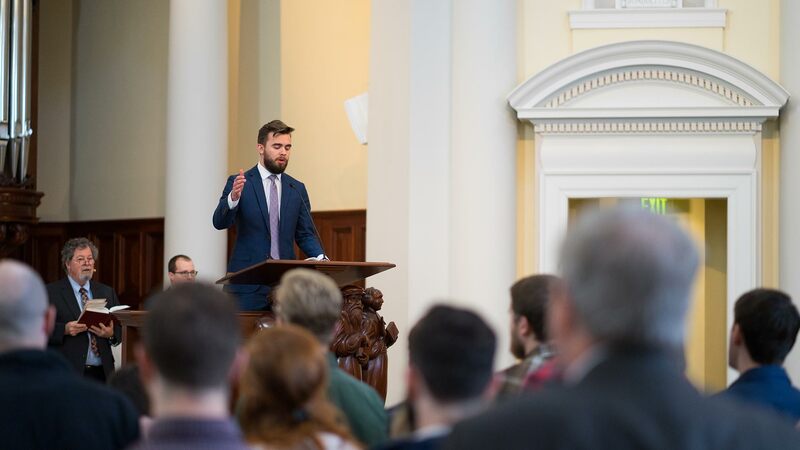 Worship with Beeson Divinity School each Tuesday during the semester. We meet as a community of faith and learning each Tuesday during the semester to worship God in Andrew Gerow Hodges Chapel. Each semester we focus our chapel services on a specific theme. All services will take place at 11 a.m. in Andrew Gerow Hodges Chapel. April 23, 11 a.m. – 12 p.m. The James Earl Massey student preaching award recipient will preach on John 21:15-25. May 3, 11:30 a.m. – 1 p.m.
Dr. Timothy George will give the commencement address.